Have you ever read a Scripture passage and been struck by the thought, “This is completely ridiculous”? I have. In fact, this is the thought I’m struck with more often than not. Take the Gospel passage for the 17th Sunday after Pentecost, Luke 15:1-10. In this passage, Jesus is sharing parables about the lost and found. First comes the lost sheep, where the shepherd leaves the 99 sheep alone in the wilderness in order to find the one who is lost. Then comes the woman who loses a coin in her household, and after finding it once again she throws a party so that she can rejoice with her neighbors at finding what was once lost. Great stories with important lessons about God’s love for us. But I can’t seem get over the thought that this shepherd was rather irresponsible and the woman seems to be quite frivolous. I mean, what if a wolf had come and had a tasty feast of the other 99 sheep while the shepherd was away? And in regards to the woman, I know that even the smallest of neighborhood gatherings costs a pretty penny once you buy the food and decorations and all, which hardly seems like a good use of one’s resources after spending so much time and effort to find just one lost coin. Regardless of what I think, these are the stories that God has used to infiltrate our lives and expose God’s great love and passion for us as creations made in God’s own image. When it comes right down to it, God’s love for us is indeed ridiculous. And it’s frivolous. It’s downright crazy—so much so that we might even become overwhelmed and lost within it. In a way, this overwhelming nature of God’s love is exactly what we need to experience in order to realize that we no in way are worthy of the love that God shares with us. God’s love for us is so big that we could never work our way up to it—but we receive it as a pure gift. We need to know and understand that God’s grace alone is the basis of our lives. At the same time though, it’s this understanding of just how big and crazy God’s love for us is that sometimes ends up completely paralyzing us when it comes to sharing it. Even though we know that God’s love for us is ours to keep, we don’t want to mess it up. So we think that we can’t talk about it or share it with others. We don’t want to say the wrong words or lead people in the wrong direction. We couldn’t possibly be a leader in our church because then people will think that we have it all figured out, when we clearly don’t. (I mean, we still think it’s ridiculous half the time!) So we leave it to someone else, someone with more experience than we have, someone with more training than we have, someone who is clearly better equipped for this sort of thing than we are. I’ve got news for you though. Being a leader in the church has very little to do with our understanding of how God’s love actually works. In fact, sometimes being a leader in the church requires us to admit that we don’t actually know how it all works, but that it does. Here’s what I think a leader in the church really is: Someone who has received God’s love and sees how important it has been in their life. That’s it. (I know, some of you are saying “Oh, shoot” as you realize that this definition of a church leader actually includes you. Well, get used to it leader. This is about you.) At the end of the day what the church needs is people who believe in the mission of the church and believe so much so that they’re willing to make sure that mission is carried out. Whether you lead by example as you faithfully worship, mentor a youth by taking interest in their everyday lives, stand in front of worshipers to lead them in prayer or song, teach out of your experience in conjunction with Scripture, or take part in any of the other various other things happening in your congregation, Synod, or wider church, it’s high time you started thinking of yourself as a leader in this church. Because you are. You are a Child of God. You have been embraced by God’s love. This church needs leaders like you, because no one can experience this ridiculous, crazy, and even frivolous love in the exact way that you have. God’s Blessings to you as you live out life as an important leader in the church today and everyday to come. 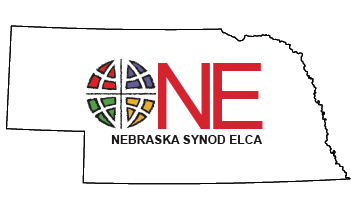 Pastor Sarah Ruch is a member of the Nebraska Synod Leadership Development Table and serves at Messiah Lutheran Church in Aurora, Nebraska.